Thanks to researchers and tracking devices, information about the populations of large carnivores (lynx and wolves) in the North Hungarian Mountains that are part of the Carpathians is growing. Local hunters contribute greatly by reporting cases of seeing the animals. This helps have a deeper understanding of their behaviour. One of these recent face-to-face encounters happened in Zemplén. It was on a late evening last week that hunter Istvan Balogh and his son went hunting in the forest. 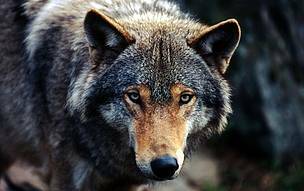 "We had just caught a deer and, as my son was bringing the truck to haul it in, I saw a wolf in the beam of the headlights. He was a beautiful, lean, adult male and he was standing approximately twenty metres away from us", said Balogh. For both, this was the first time in their lives they met a wolf. Most probably attracted by the smell of the deer, the wolf had approached, nervously making its presence known with short barking that resembles that of a dog. After the hunter let out a loud shout, the predator stopped still and merely observed the father and son as they loaded the deer in the truck. It did not attempt to attack either of them or their dog. "There is no need to be afraid of the wolves in these woods because they do not attack humans. I would never point a gun at it or try to kill it. There are times when I go into the woods without a rifle and this encounter will certainly not change that," said Balogh. With time, wolves will assert their presence in the area more. However, the rare encounters of people with a few wolves have so far stirred up greater excitement than has been necessary. "Illegal shootings are still a problem today even though there are only a few wolves in the area. We count on hunters to continue to share information when they spot wolves. We also want to remind people that wild wolves are harmless to humans and are a vital part of the forest’s biodiversity. We hope that the positive attitude to them will keep growing and that continued awareness-raising will ensure their protection", said Laszlo Gálhidy, leader of WWF Hungary’s Forest Protection Programme. The Aggtelek National Park has long been documenting and tracing wolves by observing each individual’s behaviour. This allows making rather accurate estimations of their numbers in the area. WWF Hungary has also given the park extra support by providing special equipment like camera traps. The videos from the cameras are quite popular with people and help make the majestic carnivore better known and loved. "Having partners we can count on is very valuable in our work. There are hunters who are more than willing to share their experiences with us, but their number is limited. It is of utmost importance for us to build those partnerships because they have authentic and valuable encounters that they can share with us and with others", said Balazs Veress, director of the Aggtelek National Park.